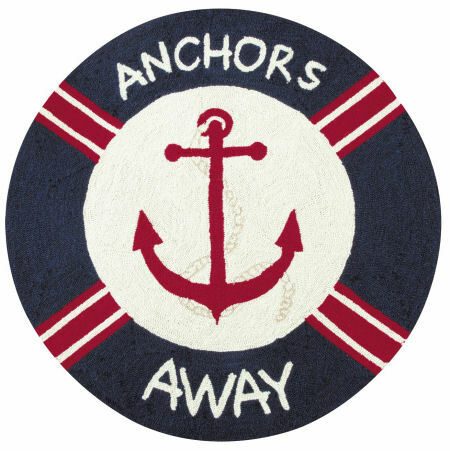 Navy and red hand hooked wool rug features a ship’s anchor. 3′ round. We offer the complete ensemble in the Set Sail Pattern.